Our 2018 National Indoor Champions have been crowned after a day of drama, shoot-offs…and delight. They are: Gilbert Jamieson and Bryony Pitman, Layla Annison and Duncan Busby, Sheila Hudson and Alex Newnes. 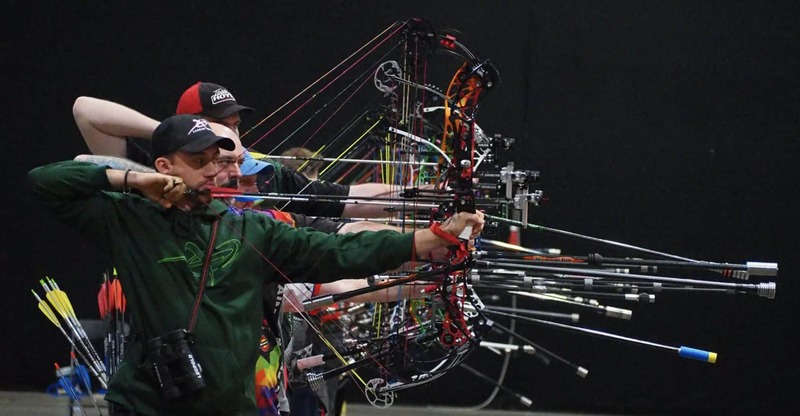 Gilbert Jamieson beat all-comers to take the men’s recurve title at Stoneleigh. 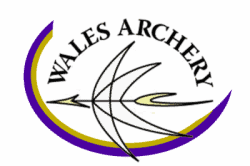 The Balbardie archer, currently 23rd in the national rankings, qualified in 10th spot – then hit form, cruising past Thomas Nairn 6-0, David Timmins 6-2, Ben Trudgill 6-2 and Alex Wise 6-2. That left him facing fourth seed Tom Hall who had seen off John Learoyd in a shoot-off, JNIC silver medallist Riley Spencer-Nice 7-1, Jacob Reid 6-0 and Antony Wood 7-1. Both athletes were determined – and it could not have been more hard-fought but, in the end, Gilbert edged it, winning 6-4. There was delight for Bryony Pitman as she successfully defended her recurve title. The third seed beat Hannah Evans 6-0, Eleanor Piper 7-1, Harlie Mason 7-1 and second seed Naomi Folkard 6-0. Her title challenger was sixth seed Lizzie Warner. She had defeated Molly Peters 6-0, Imogen Newby in a shoot-off, Gillian Imrie 7-3 and top-ranked Sarah Bettles 6-2. Lizzie shot well – but Bryony was not going to be denied and held on to her title with a 6-2 win. The recurve bronze medals were both decided by shoot-offs – and everyone involved hit the 10. Alex’s arrow just landed that bit closer to the centre than Antony’s and Naomi managed to edge Sarah into fourth spot. It was a fantastic weekend for compounder Sarah Prieels who won the Back to Back on Saturday and followed it up with a National Indoor win. The Edinburgh University archer led from the start beating Lydia Sinnett-Smith 148-140, Erin Prior 147-140, Hannah Brown 148-141 and Ella Gibson 148-143 to set up a showdown with defending champion Layla Annison. The second seed had seen off Jodie Grinham 141-140, Holly Clifford 145-141, Lucy Mason 143 140 and Hope Greenwood 145-143. Nothing was going to stop Sarah who won 145-143 but, because she is Belgian, the national title was awarded to Layla. Ella beat Hope 145-142 to bronze. It was smiles all round as Duncan Busby powered to the men’s compound title. The fourth seed defeated Tom Duncan 146-145, Dean Hamilton 146-144, Kai Thomas-Prause in a shoot-off and top seed Adam Ravenscroft by a single point. That left him facing 10th seed James Mason. He has beaten Christopher Cassells 145-143, Carl Richards in a shoot-off, Tim Nash 147-145 and Simon Scott 147-146. The final was hard-fought but Duncan won it 147-145 and Simon beat Adam by a single point to take bronze. Defending longbow champion Sheila Hudson dominated from the start. The top seed had a bye into the quarter finals where she beat Emma King 6-0 then Mary Watson 6-2 to earn a finals showdown with Sophie Twigg. The second seed had defeated Rebecca Duncan 6-2 and Beth Duthie 6-2 – but had no answer for Sheila. Mary beat Beth 7-3 to take bronze. Alex Newnes won the 2016 title and the second seed was back on form, beating Andrew Browne 6-0, Scott Williams 7-1 and Rob Twigg 7-3. The result was a title showdown with Ben Ledwick, who had seen off Paul Grosvenor 6-0, Ian Stowell 6-4 and defending champion Luke Hagon 7-1. And it ended in a shoot-off. Ben shot a seven – but Alex hit the nine to claim the crown. Scotland took the Home Nations recurve title, while England claimed compound honours.